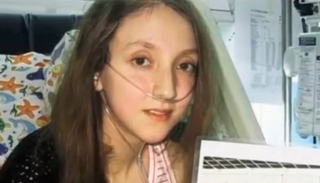 A 14-year old Chilean girl who suffers from cystic fibrosis and who'd sought public approval to end her life has changed her mind, reports AP Online. Fredy Maureira told The Associated Press on Sunday that his 14-year-old, daughter, Valentina, has changed her mind after meeting people who responded to her plea to be euthanized in order to end her suffering from cystic fibrosis. A video in which Maureira asked Chilean President Michelle Bachelet to allow her to be euthanized gained global attention last month after it was posted on YouTube. Bachelet, who is a trained pediatrician, visited the girl and her family but the government said it could not approve her request. Fredy Maureira said his daughter especially was moved by a visit from an Argentine family whose children have been stricken by the incurable respiratory illness. He said she also was given hope by meeting a patient who has survived beyond age 20. Cystic fibrosis is a debilitating, incurable disease that affect the respiratory and digestive systems; the average age length for a person affected by the disease is just 37.